Disclaimer: Finance and Lease offers on approved credit. Regional offers, lease and finance conditions apply. See your local Honda dealer for more information. Use of any calculation and/or tools on londonhonda.com does not constitute an offer of direct financing or any particular lease, finance, purchase option or transaction. Calculation and tools are intended for illustrative purposes only. Rates and requirements may vary depending on credit worthiness. Every effort is made to ensure the accuracy of the content on the pages on londonhonda.com. In the event of a discrepancy, error or omission, vehicle prices, offers and features as established by Honda Canada and participating Honda dealers in Canada, will prevail. 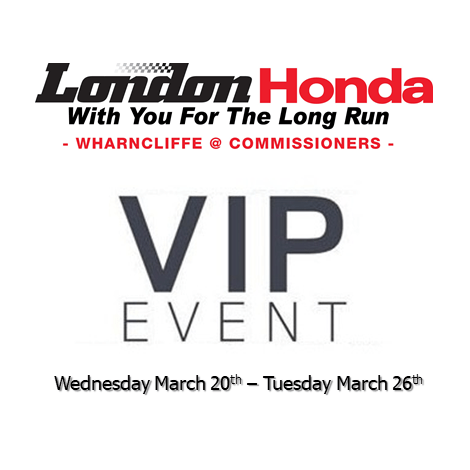 At London Honda, we want to have you as a customer for life and we’ll work hard to keep your business. 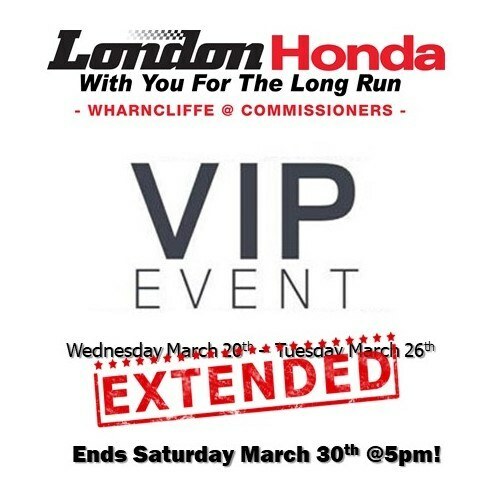 To do that, we start with a team of great people who excel at providing great service and we add exclusive, expanded services and programs that you will only find here at London Honda. Stop by, call or email and we’ll show you why we rate 5 stars with many of our customers. We’re not your average dealership!